Greetings! We come to you today with important information regarding what is taking place in this Now. The next few months will be very pivotal not only for your growth but the planet as a whole. While many of you were hoping that things would smooth themselves after the the New Year, understand that a vote was taken to continue this accelerated course. Each of you on this path received a vote and your highest aspect consulted with you in dream time to receive your input. Understand that for each one that merges with their soul, hundreds around them are affected. While each of you are creating your own reality, your own hologram, you are also participating in the collective hologram as well. The more awakened the beings participating in the hologram, the more you will see the world and all of it’s beings change in response. 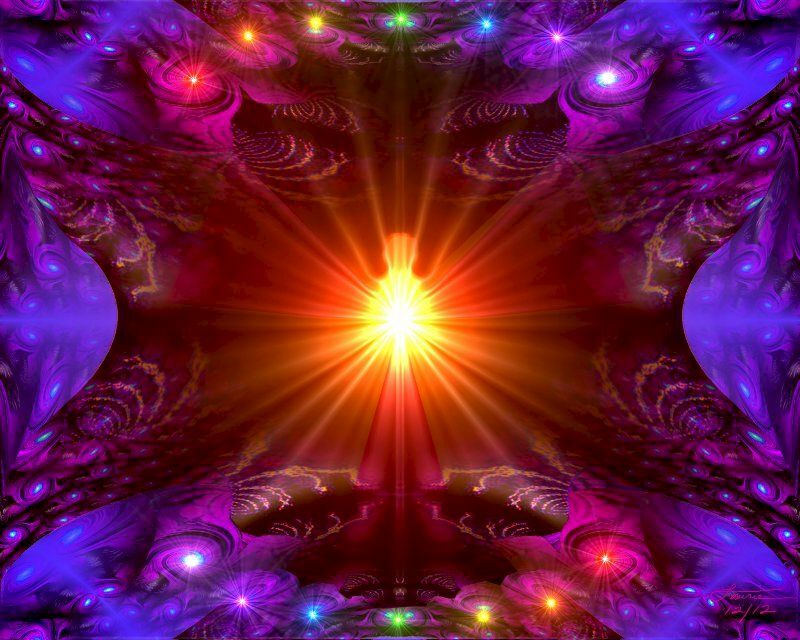 The stream of light consciousness entering your world will continue at a steady pace. One’s growth is dependent solely on how fast one is able to integrate and utilize the light codes. While each of you are at different stages there are patterns and rhythms that will allow you understand what another is experiencing in varying degrees. Now more than ever, self care, self love is very important. As these codes are digging deep within your belief system to root out all that is not in alignment, you will find that you will feel depleted rather quickly. Taking great care of your form will aid in assimilation. Exercise designed to move energy through your body and aid in releasing will be beneficial. Ensuring that your hydration and nutritional needs are met is also imperative. Listen to your form, which has consciousness and honor what the body needs to move through this time with as great of ease as possible. Rest and limiting exposure to electronic signals will allow the body to recharge at a faster rate. Be aware of your thinking and make sure that you are your biggest supporter, your greatest champion. At this time much is happening within as each of you embody more and more of your soul. All facades, masks and personas that are not in alignment with your truest aspect will be shown to you. How one handles this will depend on if the person is ready for true, lasting change. We understand that coming face to face with your layers, your masks is not a comfortable process. Many of you have created identities and personas to help aid you through the lower vibrating earth as a form of protection. Some of you have shed layers as you awakened only to create new ones, putting yourself once again in a box of limitation. Those must now come down, it is safe for you to allow all these layers protecting your precious soul to come down. What was once protection is now holding you from your potential. As these become evident, you will be able to see them for what they were; protection for your soul. View them without judgement. Realize that though you fear being hurt as so many of your tender souls have been, that you are now ready to move forward and walk in your power, confident in your abilities to exact change in all areas. You must silence the inner critic, the one that holds you in place with fear or dogma as there is no place for this in the light. There will be those who when shown their layers and masks and being unable to face their fears will continue with their facade until they are ready. There is no judgement with this as each soul is on their own timeline and much has been learned through masks as it is another way to explore life in form. Some of you will see yourselves for the first time and look into the mirror thinking that you have lost yourself and that all meaning become irrelevant. This is not the case dear ones, this is simply you leaving behind the old and embracing who you truly are. It is a process and not something that happens in an instant. Take this time to really examine all you have held dear, all you have believed, all that you have been told and allow your heart to lead you to your truth. At this time much will be brought to light and examined. Forgiveness of self and others is very important. You must see each moment, each action taken by you or another as an opportunity given for you to grow and learn. Judgement must be left behind as you begin to see the soul behind every being on this planet. To judge another is to judge yourself, adding more for you to release. See the beauty in all lessons, all experiences and you will feel yourself lighten considerably. Understand that forgiveness is also a process and many of you may be revisiting moments that you have previously thought healed. This means that these emotions are held deep within your layers and are awaiting final forgiveness so that it no longer impacts who you are. Remember, it is you who chooses what to bring forward and what not to in your now. In each moment make the conscious choice to remember who you are, remember your soul, and not the layers that have encompassed you in this life. Me: A while ago I was shown a bucket within me that I needed to keep filled with golden light. This represented my energy levels and I was urged to make sure that I always keep my bucket full. Recently I was shown that bucket but it had an overflow spout leading to other buckets and I was urged to fill each one as much as I can. That it was important to make sure I was placing my needs first. Quan Yin: It has never been more important. Many of you are being called upon to stabilize the energy around you while you are also integrating the deep changes within. If self care is not made a priority, one could find themselves quite depleted. Each person knows intuitively what feeds their soul, this is of great importance. Me: My 7 year old shared with me that she feels pain, holds it (as she put her hand over her heart chakra) I asked her what about and she sat there and told me for everything. The kids who won’t let her play at school, the boy who said he had a crush on her but lied, the kids who pick on the kids who have problems, for the bugs that get squished, for all the animals that get abused, and the sad stories she hears. As I was sitting there listening, it hit me that so many of us felt those things too as kids in one form or another… but many of us shoved it down, disconnected and believed it when we were told we were too sensitive. It brought me to layers of pain I didn’t realize existed to that degree within me. Quan Yin: This is what I refer to as the walls built to protect your soul. It is a distortion and must be changed. Too feel everything deeply is your soul, it is your highest aspect. When one feels this deeply how can they possibly harm another. Many are seeing the truth in those core emotions and removing the filters that kept them deeply hidden. It is safe now, you can feel as you should, you are not alone and so many, many more are realizing this truth. Me: How do I help my child with her deep pain? Quan Yin: Teach her compassion, teach her forgiveness and teach her self love. With those three attributes she will keep feeling but will be at peace. One feels anxiety not because they feel the emotions, but rather they allow others to make them feel wrong or different for feeling them. She will keep her compassion and through forgiveness understand the greater plan. Me: Quite a few clients have used the words “reset” to describe what they are feeling in these moments. I find that interesting. Quan Yin: Yes a deep reset is taking place. Each person is being given the opportunity to change within them all that is not accurate for who they are, all that does not resonate within. Me: Some are hearing a heart beat in their right ear. What is that, what is the purpose? Quan Yin: Their body is being tuned to the frequency of the shifting earth. Not all will hear this, but all are being tuned. We recommend that those who hear this heart beat, connect themselves to the earth, to Gaia and commune with her, experiencing her love and grace. I hope my questions and answers have helped you as they have me. I am holding all of you in the highest light and with the deepest love. May you all be blessed. Thank all of you who have shared and supported this work as facebook continues to restrict my ability to share these posts. It means more than you will ever know. I am glad I did too 🙂 Still finding me. I love you too. It is amazing how much the earth heals us. Sitting against a tree just calms my soul. I am so glad that this work speaks to you. Knowing that it helps people makes it all worth it. So much love to you! Reblogged this on Insights & Clarity.